The first section is close to the Dee Estuary and it attracted many industrial premises. The remainder is adjacent to the Irish Sea and leisure developments took place nearby in profusion. 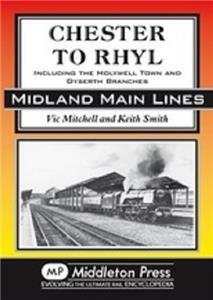 Both activities brought extra rail traffic, which is illustrated along with the changing rolling stock scene. Two fascinating and steep branches garnish the mixture.